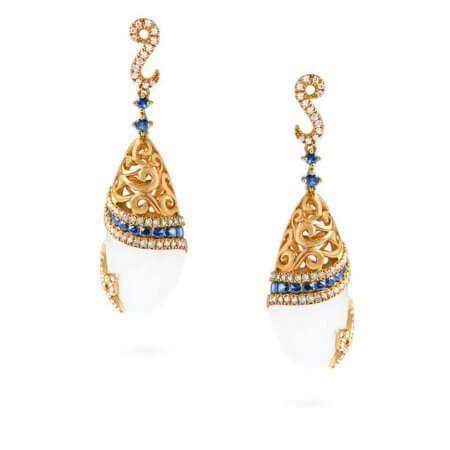 One of the things that make PureJewels such a unique company is our Indian 22 carat gold jewellery, which is the result of a cross-cultural heritage. 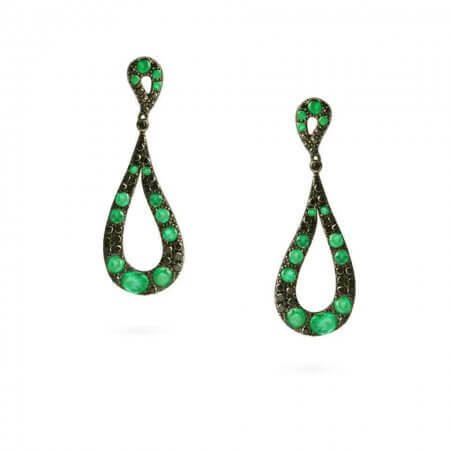 Our founder has practiced the art of jewellery making in Africa and London, while initially hailing from India. The resultant duality between the traditional and the contemporary in both our design and manufacturing processes is at the heart of our company. Associated with elegance and style, our Cocktail Hour collection embodies the essence of the cocktail party while demonstrating the convergence of culture in our design ethos better than any other. The pieces in this collection maintain some of the core principles of our traditional Indian design but present them with a distinctly Western twist. 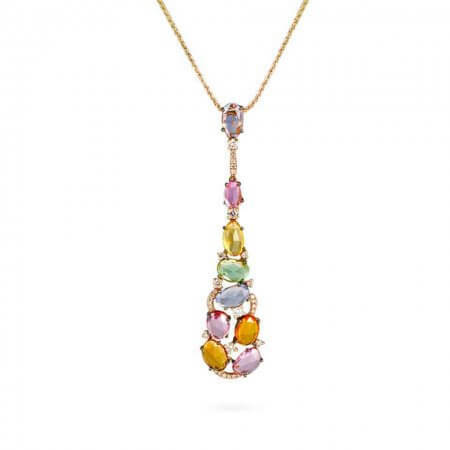 Our 18ct gold cocktail pendant is sophisticated, knowingly stylish in it’s simplicity. 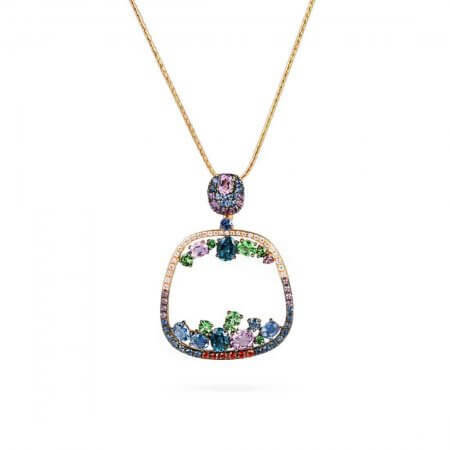 The Cocktail Hour demonstrates some of our most modern designs, showing our versatility as Jewellers. 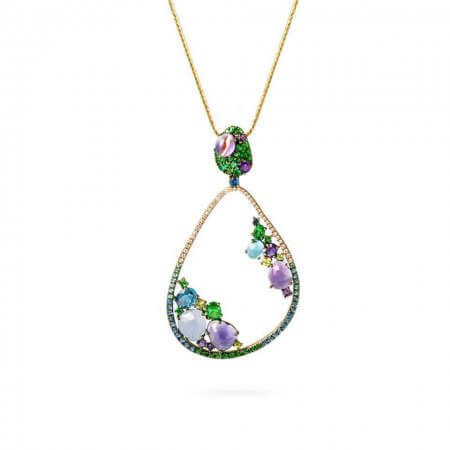 Our 18ct gold cocktail pendant features a contemporary design and bright colour scheme rendered with a variety of different coloured sapphires while the 18ct gold cocktail earrings, tinged green by garnet and aqua milky hydro stones, are reminiscent of African designs yet still remain unique. 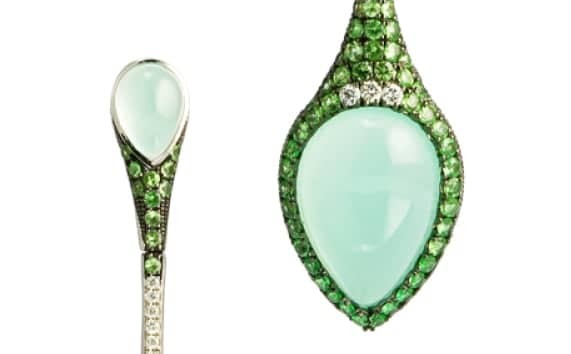 Every design, and every piece we ultimately produce must embody our high standards; we measure the quality of our work by the elegance of each piece and we believe that the best jewellery should not needlessly be ostentatious. 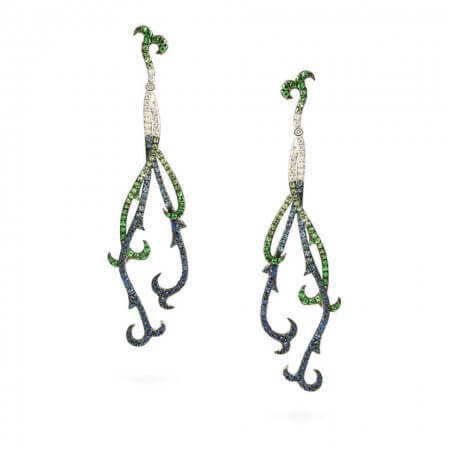 Other designs for our cocktail earrings resemble peacock feathers and are studded with jewels that conjure the same sense of grandeur as the bird’s excellent plumage. 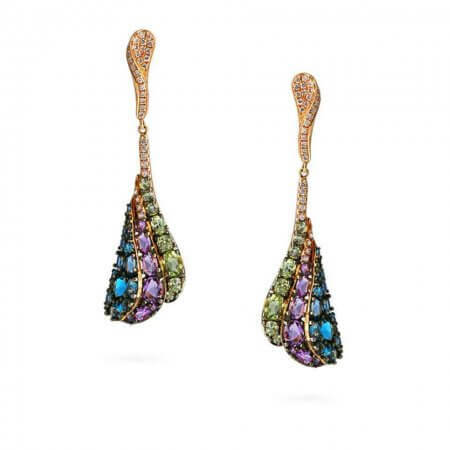 Combining London Blue Topaz, Peridot, and Santamaria Amethyst Stones, these earrings pair beautifully with any of the pendants in the Cocktail Hour collection. We believe that these pieces are the most prominent example of our commitment to maintaining a dialogue between the traditional and the contemporary. Our designs here are some of our most traditional ones, but they retain the spirit and soul of all our more conventional designs.